Populism and antagonism will probably have an outsized influence in defining his legacy. No one had predicted it — at least not in the public domain. All the signs pointed in the direction of roads leading away from activism. And then, as some may say, the dam broke. Let’s try and put the enormity of what happened in context. 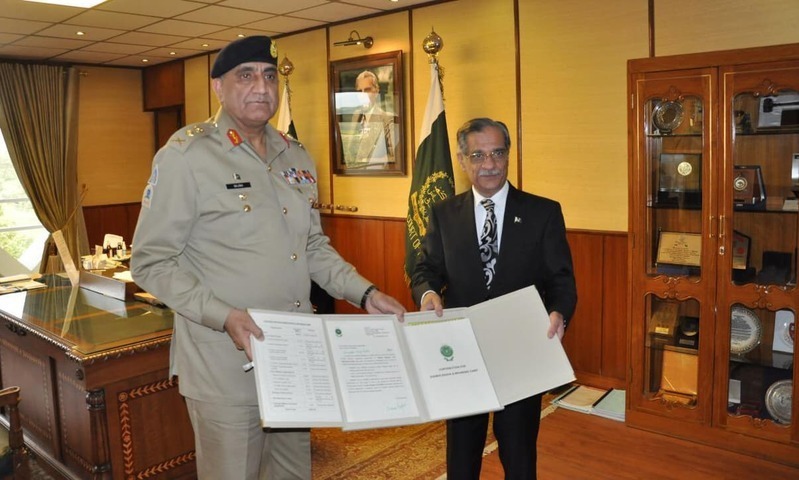 A few months before taking oath as chief justice, Justice Saqib Nisar authored a judgment with far-reaching consequences for the office of the prime minister and the entire cabinet. The judgment was important, even exciting, for lawyers but it had little popular appeal. Some mused that the incoming chief justice was sending a clear message that he is his own man — dispelling perceptions (inaccurate or otherwise) that the Pakistan Muslim League-Nawaz government would have an easy ride. Others saw this as an affirmation of something we all live with: where you stand on an issue is determined by where you sit. More importantly, though, the judgment was informed by an interpretive approach that (then) Justice Nisar was known for: textual reading of the Constitution — something we do not see often enough in a country that seems to adore judicial activism. Throughout his career, Justice Nisar built a star-studded reputation as a luminary. As a judge, he made it clear that he cared deeply about the meaning of words. "Imaginative social engineering accompanies judicial activism, but where do we draw the line?" During his days at the bar, he made his name as one of the top civil law practitioners of the country. As a judge too, he was known at the Lahore High Court for being a master of the technicalities of the Code of Civil Procedure as well as a keen student of the text of the Constitution. You cannot be considered a master craftsman in any field of law — especially procedure or the constitution — unless words really matter to you. So, in many ways, the ruling in Mustafa Impex made perfect sense: cabinet means the cabinet—and the prime minister cannot be a substitute for it. This was the Justice Saqib Nisar everyone recognised. It was a case where all opinions combined came to more than 900 pages. The Supreme Court’s decision regarding the constitutionality of the 18th and 21st Amendments was, easily, among the most significant constitutional rulings in Pakistan’s history. Justice Saqib Nisar’s opinion — differing from the plurality and holding that the judges had no right to strike down a constitutional amendment — can only be described as a joy to read. Those who value judicial conservatism rejoiced. He was only one of four judges in the Supreme Court who said the court should not get into the business of rewriting the Constitution after parliament had spoken. In that moment, he was a national treasure. 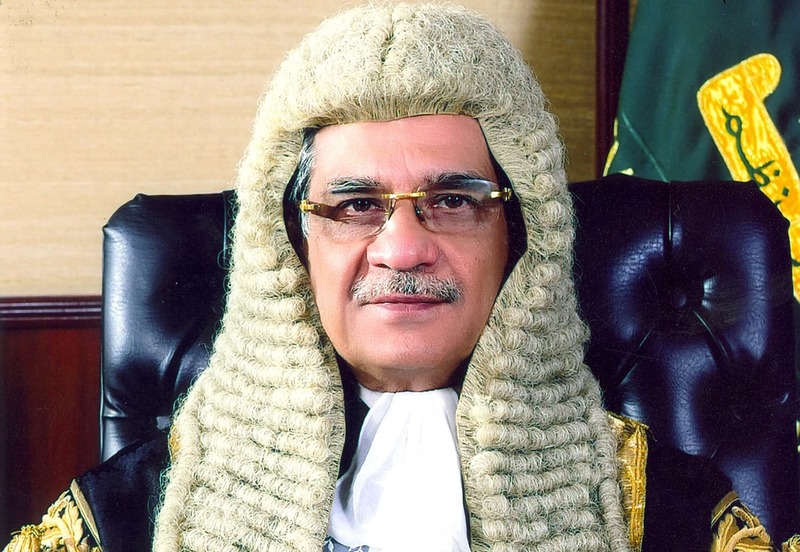 This was the Justice Nisar a lot of people celebrated — and for good reason. The man who wrote the above two, and many other, solid opinions then became unrecognisable in the last year of his tenure as chief justice. Was there a sudden change in worldview or outlook? Or was it an increasingly urgent, shifting search for a legacy? For people who rise through the ranks with ambition and dream of shaping the world they inhabit, legacies do matter. This is not to say that this is necessarily the right motivation but recognising its existence can provide context. Narratives we grow up believing about our society and its politics also matter, and not being cognisant of the shortcomings of these narratives can eventually plague our approaches. In a speech at the eve of beginning his tenure as chief justice, Chief Justice Nisar told us that eliminating corruption would be a top priority. He made it clear in the same speech that he sought to eliminate it from not just the judiciary, but also other branches of government. At some point, it must have become clear to him that the job is not as easy as he thought. Corruption has deep roots in this society and across institutions, but there are other, deeper systemic flaws. These include misplaced priorities, ill-informed approaches implemented with rigour and lack of clear planning (because vision or data is missing). At times there is plain incompetence, and then there is the plain lack of resources or capacity. We cannot know for sure what motivated Chief Justice Nisar. Did this drive to ‘fix the system’ and act as a saviour have an end in sight when it began? Or did it work like quicksand, drawing him in deeper every time he took up a new issue? Judicial restraint and a modesty about the constitutional role of judges were the hallmarks of his approach; and yet these two things became increasingly scarce during his last year in office. "For people with ambition, legacies do matter." Chief Justice Nisar borrowed in part from former Chief Justice Iftikhar Chaudhry. The latter had set a precedent: calling politicians, bureaucrats and ordinary citizens to court and unleashing thunderous remarks from the bench makes everyone sit up, makes hourly tickers (not just headlines) and people take you more seriously. But unlike Chaudhry, Nisar was a star of the profession. He had stood out throughout his career, and a legacy could not be based on borrowing from those who came before. It had to go beyond. As it turned out, at times there seemed to be no end in sight. Chief Justice Nisar’s tenure came to be increasingly characterised by populist measures (be it dams, healthcare facilities, schools or national airlines) that stretch the definitions of what we consider normal judicial conduct. He went from being known as one of Pakistan’s most well-known textualists to a man who at times showed worryingly little regard for time-honoured legal processes. From a man known for his ambition and knowledge of the law, he went to being a man we will remember as walking into hospitals and carrying out inspections. Did this work out well for the system or the ordinary litigant? For a few, the jury may still be out. For many, the answer is a resounding no. This should not surprise anyone, but let’s confront the question that people will always ask about hyper judicial activism. Look at the results, they say. So, what’s wrong with it? Mark Tushnet at Harvard Law School has written about how the term ‘judicial activism’ is often unhelpful; people mean different things when they use this term. This much is accurate. When people want to use it as a pejorative, they do so without being clear about what they mean. Let us also not forget the significance of the fact that the popular imagination in Pakistan, as in most other places, often sees justice as solely a result. The results that consumers of a justice system see have enormous emotive appeal. Splashing headlines or recurrent news tickers of powerful public and private actors being summoned play an important role in shaping perceptions. Equally important is the harsh reality that many of us, as lazy citizens, love judicial activism when it suits us. If it works to stop a large-scale project we do not like, or an acquittal or a stay order we agree with, we celebrate it. Academics have also written about how judges interpreting constitutions in common law countries adjust the constitutions to the “felt necessities of the time”. "When judges shrug off process, they become populists." Then there are the outcomes. Focus on the outcomes, goes the argument. Outcomes do matter. If good results are achieved, what is wrong with it? Skeptics, and I mean principled skeptics of activism, have a powerful response to counter all this. They say this approach conveniently forgets that at the heart of the promise of justice are its processes and constitutionally circumscribed spheres of activity. The clearly delineated spheres of activity in a constitutional democracy and processes of the system of justice are what ensure that institutions develop. Approaches matter, they urge. Focus on processes, they say, because processes in a justice system ensure that we protect even unpopular defendants; these processes, goes the argument, are the surest safeguard against mob mentality making a mockery of the justice system. When judges shrug off process and become focused only on the result, they become populists. If judges join in the ‘everybody knows who is guilty’ mindset then the system collapses. The late Justice Antonin Scalia of the Supreme Court of the United States once gave a characteristically punchy retort upon being asked why we should not focus only on the outcomes in a justice system. Even a king would do something right, he said, but that is no reason to abandon democracy. Even advocates of judicial activism would have to agree that it all did go a little bit awry in the last year. It was, perhaps, not so much the chief justice’s order that dams be built, it was what that aim eventually led to. Daily tickers from the apex court, and the dialogue between bar and bench (at least as reported), made constant references to payments in the Dam Fund. Regrettably little was done to set this right. It started appearing to the average citizen that how one is treated in court depends on the view one takes of the fund and one’s willingness to contribute to it. It does not matter whether anyone actually received lenient treatment because of a promise to donate to the Dam Fund. The fact that Pakistan’s top court was perceived as identifying one cause above all others and firmly nudging people to contribute to it caused damage to the promise of impartiality. It was not so much the concern for education or health, it was what this concern translated into that worried citizens. Regardless of what certain people appearing on electronic media tell you, a citizen is worse off if he has to rely on a newspaper headline or appear on breaking news to catch the attention of the justice system — or the justice himself. It is also a failure of the system if the solution is that the top court has to set aside regular work to focus on items that the media is highlighting. Imaginative social engineering accompanies judicial activism in both Pakistan and India, but where do we draw the line? Chief Justice Nisar’s last year in office forced us to confront this question with an urgency we perhaps never imagined. With Chief Justice Nisar, we can all agree that this — whether we call it hyper activism, populism or governance from the bench — was something that this country had not seen before. "When citizens fear for their dignity as a result of dialogue from the bench, it should give us reason to pause." However, let’s not assume that we will not see it again. This will keep recurring until there is a conversation and pushback against it. The effects will be lasting — and the damage by activism, on principle, almost certainly outweighs the gains. The arguments in defence of hyper judicial activism are the usual lazy ones: courts are forced to do this because politicians have failed. This is a cop-out and a product of narratives surrounding us. As Babar Sattar reminded us, those who favour judicial activism (and trust apex courts with governance) somehow also manage to defend military courts (i.e. distrusting courts at their job) — so let’s not forget the irony. Also, if courts are forced to do the job of other branches of government, what needs to happen for the court system (lawyers, judges et al) to do the job that the public expects of them? And who gets to do their job while they fail? There are those who will, legitimately, say that there is something to be gained by courts acting in an unconventional manner. ‘Why play by the old rules?’ some ask. This would count for something if activism took us past simplistic or populist narratives. If activism engendered meaningful reform by focusing on processes and not just results, we may get somewhere. But therein lies the rub: judicial activism and hyper activism by a leader intent on applying a saviour formula cannot focus on long-term reform because in order to be exciting, glamorous or even remain alive, this approach needs to jump from one issue to the other. There is good reason for superior courts being reluctant to take up positions on social causes: it means that competing perspectives are shut out. In fact, any adoption of a narrative by a top court means that perspectives that may differ are immediately marginalised. This is why supreme courts in most countries stick to deciding issues of law and, at least in theory, attempt to do so by sticking to narrow rulings without opining on social, political or religion-related merits of legislative enactments. The Aasia Bibi ruling is a good example of this. The ruling is laudable in its treatment of facts and courageous in many respects. However, Chief Justice Nisar’s opinion for the court in this case also aimed to placate skeptics, arguably a balancing act by the court (and one can understand where the court was coming from), but parts of the opinion may have made it extremely difficult for any legislator to suggest even procedural amendments to the law on prosecution of blasphemy. Similarly, any opposition to the idea of large dams being labelled as treasonous is not just regrettable, it is deeply tragic in a polity as fractured as ours. Matters of national importance require input from all voices, including dissenting ones. Courts should amplify and not mute voices that are otherwise marginalised. "The damage by activism almost certainly outweighs the gains." State regulators like the Pakistan Electronic Media Regulatory Authority and others also take their cues from the superior judiciary about what is legitimate speech and what kind of speech the state can comfortably clamp down on. When courts look away from this, they do not further the constitutional promise of liberty. The fact that these are not exactly happy times for the media in Pakistan also meant that there was very little pushback about Chief Justice Nisar’s activism. These are important conversations that we must have — and we can have these discussions in a way that respects all shades of opinion and ensures respect for the judiciary. Amid all the activism, the chief justice did continue authoring important rulings, but that was not the conversation the country, or the court, was having. If you make a list of the detailed verdicts passed by Chief Justice Nisar, it is fairly long and many judgments make good reading. The verdict regarding Gilgit-Baltistan is particularly important, as is the ruling on dual nationality holders in government service. Admirably, this ruling left it up to parliament and the executive to come up with guidelines where there were not any. You can take issue with the rhetoric in this ruling — for instance, it all but assumes (in passing) that anyone who obtained dual citizenship during government service was motivated by corruption — but for the most part, the substance of this ruling is based on admirable restraint. However, this does not take away from the fact that the institution’s perception was shaped by the chief justice and that he was in the media for his judicial hyper activism and advocacy of certain causes. Regrettably little was done to improve the justice system for the common man. There were no institutional reforms initiated from the chief justice’s office and no meaningful concerted efforts to clear the backlog of cases. The judiciary’s own accountability is an area that has received scant attention throughout our history. There was the occasional rhetoric — and a fair bit of TV — around this issue. The chief justice walked into a judge’s courtroom and — while the cameras were rolling — tossed aside the junior judge’s phone. 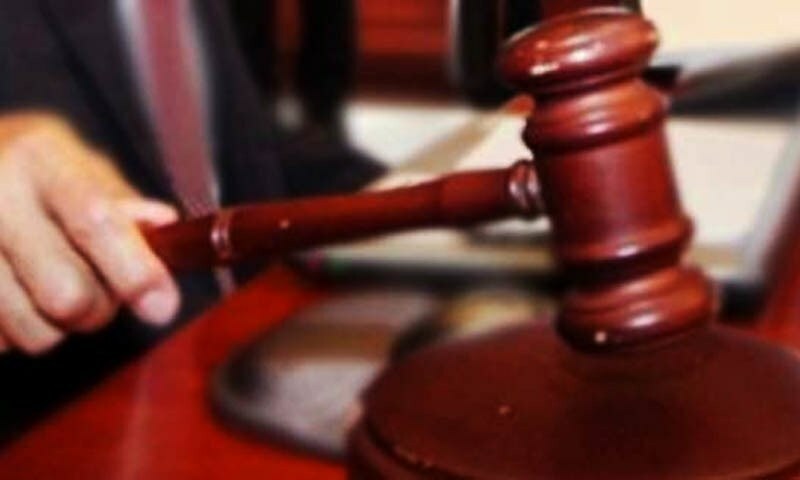 Do lower court judges in Pakistan act in regrettable ways when it comes to disposing cases? Absolutely. But was the chief justice’s chosen method of embarrassing a judge in line with dignity of either office? Absolutely not. In terms of rhetoric, shocking and ultimately unsubstantiated accusations came from former Justice Shaukat Siddiqui. However, the manner in which he aired his grievances earned him neither friends nor trust. The Supreme Judicial Council (SJC) acted promptly and he was removed. While the SJC continues to hear references against sitting judges, its protocols remain shrouded in mystery. This is extremely regrettable and the people of Pakistan deserve to know the standards the council follows. These questions came into sharp focus with the news that Women’s Action Forum, joined by a few other citizens, filed a reference against Chief Justice Nisar. In a powerful development, WAF’s members and their allies made their case that the chief justice’s conduct had crossed the lines of proper judicial conduct. We did not hear more about this. 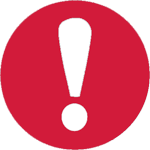 Who examines a reference initially and what results in it being taken up for a hearing? What is the burden on anyone filing a reference? Many citizens have these questions — and the conversation about proper judicial conduct and judiciary’s domain in a democracy is important regardless of a citizen’s position on any particular reference. "In his last year, his approach was categorised by delving into matters clearly outside the judiciary’s domain." Was there pushback from within the judiciary at the top level? We will know for sure only in the future when autobiographies are written — but the murmurings of discontent did become clear. Supreme Court justices in the United States have been described as ‘nine scorpions in a bottle’. Make no mistake; people who make it to the supreme court are defined by their ambition as much as their calibre. They all have decades of legal practice behind them. They also possess, quite naturally, a very developed view on how the law and those it regulates should operate. Chief Justice Nisar’s abrupt reconstitution of a bench in the Peshawar registry resulted in Justice Qazi Faez Isa and then Justice Mansoor Ali Shah making clear their view: the top judge cannot reconstitute a bench to quell dissent. Anyone interested in the stories of top courts, and the individuals who handle them, would know that top courts are characterised by sharply differing views. This is not a bad thing at all. Institutions are stronger because of differing views. Most of the time these views are aired only among judges themselves. All judges realise the importance of preserving the dignity of their institution over and above personal disagreements. The fact that two strongly-worded opinions were released firmly suggests that the two judges felt they had no other option but to express their dissent in writing. This is not necessarily something to mourn. The fact that judges differing with the chief justice expressed their discontent through judicial opinions — ironically, two dissents combining to form a majority — shows the power of dissent. The institution came out stronger than the individuals involved, and this will make it fascinating to see how Justice Isa and Justice Shah (both in line to become chief justice in future years) handle dissent when they are in a leadership position. "If activism engendered meaningful reform, we may get somewhere." Many believe that an area where the apex court’s position suffered during Chief Justice Nisar’s last year in office was the promise of dignity the court holds out; for itself as well as for those appearing before it. Senior journalists as well as doctors, as per news reports, had their credibility and commitment questioned. No one deserves to have a reputation tarnished by an off-the-cuff remark during proceedings before the highest court in the land. When citizens fear to approach the apex court and fear for their dignity as a result of dialogue from the bench, it should give us all good reason to pause. Our private schools and hospitals will not markedly improve as a result of well-intentioned, but essentially arbitrary, corrective steps. Chief Justice Nisar’s scolding of hospital or school owners may have been motivated by a deep and genuine frustration at a rotten system, but they will not lead to long-term, meaningful reform. Forcing businesses to change their practices through ad-hoc judicial orders — without legislative backing or buy-in from the businesses — is unlikely to succeed. Painting private school and hospital owners, as well as doctors serving government entities at handsome salaries, as rapacious is likely to embed resentment rather than engagement that facilitates reform. If the aim was to generate a conversation on issues of inequality and abuse of monetary power, the means adopted by Chief Justice Nisar left a lot to be desired in the eyes of many. We must resist the temptation to entirely celebrate or completely demonise any individual — and this is especially true for those who, like judges, serve in public office. Nuance demands a measured approach. The outgoing chief justice had a stellar legal career for the most part. He wrote dozens of rulings that helped a lot of people understand the law. He wrote some of the most clear-headed opinions worth celebrating. In his last year, as the top judge of the country, his approach was categorised by delving into matters clearly outside the judiciary’s domain. Populism and a fair bit of (avoidable) antagonism will probably have an outsized influence in defining his legacy. He must be aware of the impact of all this, but that is not how these things end. As he aptly noted in his farewell speech, the rest of the country and ‘generations to come’ will have to live with it too. Meanwhile, we must have that conversation about activism versus restraint and what works better for a more progressive, inclusive and democratic polity. A very balanced article covering both sides of the coin. I have a different angle to see it all. Criticism could be done on anyone how much upright one may be. Historically prophets very the most sheer victim of criticism. The point is that change only comes when you do legal things in 'unconventional' ways because results of conventional ways are already tried and tested. Average human minds don't accept unconventional methods and for this reason all innovators were ever made fun of. Had Edhi thought that ambulance service is the domain of government and had Quaid-e-azam thought that founding Pakistan was not his job, we neither had Edhi Foundation nor Pakistan. China is criticized the most for human violations and blah blah blah but the fact is by running stated-led capitalism (very unconventional) they are going to become the World's economic leader soon. I believe Saqib Nisar thought out-of-the-box and acted unconventionally and gave us results. General public is happy at-least. @Economizer Your mention of China is spot on. An insightful article substantially addressing the perils of unbridled, rhetorical and hyper judicial activism! It’s negative impacts on the functioning and growth of the institutions and on the dignity of individuals facing the court are unacceptable consequences. A good write up, Waqas! An excellent and a realistic write up about the outgoing Chief Justice of Pakistan! 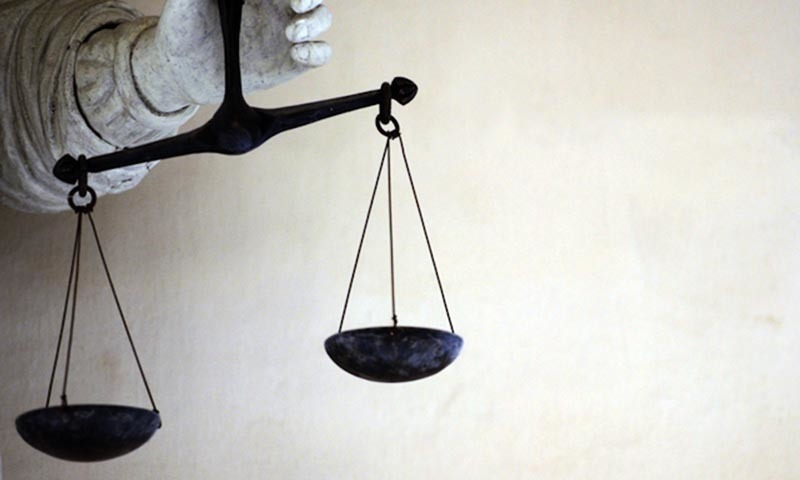 Is Pakistan's judicial system in better shape than before? @Abdul Rahman His era will be judged as "most consequential" in the judicial history of Pakistan. Overall he was a good judge. Although on occasions one may have argued that his comments were relatively harsh and akin to more of an authoritative adjudication regime, but for the majority of his tenure an average Pakistani could at least see justice being done. Indeed-"Judicial restraint was Saqib Nisar’s hallmark — then the dam broke Populism and antagonism will probably have an outsized influence in defining his legacy"" as soon as CJ found out Dollars and Pounds flow like water he went after rhem to accumulate billions to keep busy in his retirement and seek PM ship later. He knows the road Imran Khan travelled on 32 years on donations upon donations so this dam donation monies may help CJ too for a different befitting career. An excellent analysis couched in very civil language. It provides much food for thought. In many new democracies, judicial over-reach may occur out of exasperation at the timidity or callousness of the executive or the legislature but this does not contribute to a healthy development of institutions. @Economizer Absolutely! Bahria town's owners recently offered to deposit 250 billion rupees. That is nearly 2 billion dollars. This is in a country where almost 40% live below the poverty line of one dollar a day. This speaks volumes about their illegal processes, which are protected by highly paid lawyers through legal technicalities, and only became possible through unconventional ways. Can anyone imagine Bahria town offering a single rupee if it was through conventional ways. Not in another 100 years. The history of mankind shows that real change is only possible through unconventional methods. Look at the birth of different relegions, European renaissance, American civil war, Chinese surge. None of that would have been possible through conventional means, which protect the elite first and foremost. What happens in Pakistan does not influence me personally. Whether tomatoes cost 100 rupee or 200, is fine. But I did support CJ's actions, because they gave hope to the millions. So the linchpin of your argument against judicial activism is a SOCIAL observation, and even that borrowed from Babar Sattar, that those who defend hyper judicial activism also tend to defend military courts. I am dead sure that you are trying to imply that CJ Nisar in his last year was merely acting at the behest of GHQ. I am also quite sure that this the laziest argument I ever heard: 'the dog ate my homework' kind of argument. But it's alright; you can have another go at it when trying to explain CJ Khosa's hyper judicial activism upon his retirement in December. This time however you get 5 out of 10 marks, which if you have to round-off, can also amount to 6 out of 10. Cheers!